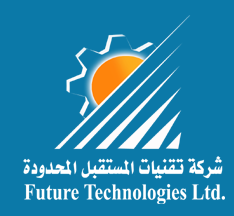 Future Technologies Ltd. (FTL) was established in 1993 in Al-Khobar, Saudi Arabia. The company starts its business as a reseller, offering off the shelf scientific, CAD and engineering software; then develop its business to be a distributor for a number of professional CAD and Engineering Solutions including hardware, software sales and services. We got privilege and the experience with major technical hardware and software installations among reputed Government and Private Organizations. To meet the growing challenges FTL provides a wide range of Consulting Services related to the Engineering specially in power system services. We have conducted numerous power system studies in Saudi Arabia and Gulf Countries on new and existing electrical systems to enable our clients to build or expand their electrical systems and help them to achieve improved efficiency, reliability, and safety in operations. Power system engineering services starts by considering current design environment, operating constraints, and design goals. Customer satisfaction is our prime goal; working closely with client, we identify the most effective ways to overcome any obstacles to client success. To analyze various design possibilities, we perform a full spectrum of power systems analysis.